Most cycling aficionados will have more than one bike in the garage or shed. They’ll had a skinny-tyred, lightweight road bike for long days in the saddle, they’ll have a mountain bike with suspension and disc brakes for the dirt, and maybe even a cheap bike for commuting or riding with the kids. This, of course, isn’t a reality for everyone, especially if your outdoor passions cover a wider spectrum of pursuits. In this case, it’s worth thinking about a bike that can do more than one job well. We touched on the notion of the gravel bike in the last issue; in essence, it looks like a road bike with fatter tyres. The differences are more marked than that, of course, but it’s a pretty good summation. So this issue, we’ve grabbed a new-generation gravel bike from American company Niner to test the multi-use theory out. 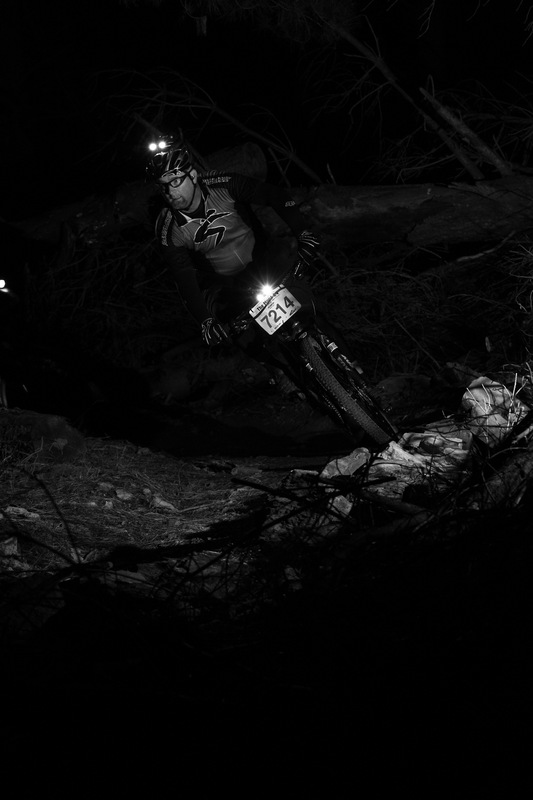 Niner is a small, relatively new company that specialises in one thing; bikes with 29-inch (or 29er) wheels. It calls the RLT an all-road mountain bike; it comes stock with relatively skinny Shimano wheels and Schwalbe’s excellent Sammy Slick 700 x 35c tyres, but there’s enough room to install a set of wider-rimmed mountain bike wheels and fatter tyres if you desire. The RLT’s frame is alloy and the fork carbon fibre. It’s a tidy, well executed frame with a few neat touches, including internal cable routing for the gear cables (to keep them free of dirt and crud) and an eccentric bottom bracket set-up that allows you to run a single-gear set-up and keep the chain properly tensioned. There’s provision to fit racks and panniers, too. Drivetrain components are no-nonsense Shimano 105 10-speed units, combined with a SRAM crank with 46/36-teeth chainrings and SRAM cable-actuated disc brakes. SRAM-owned parts company Zipp furnishes the stem, bars and seatpost, while the WTB Silverado saddle is a pleasant surprise. It’s a neat, tidy, handsome rig, with a lot of attention paid to details. 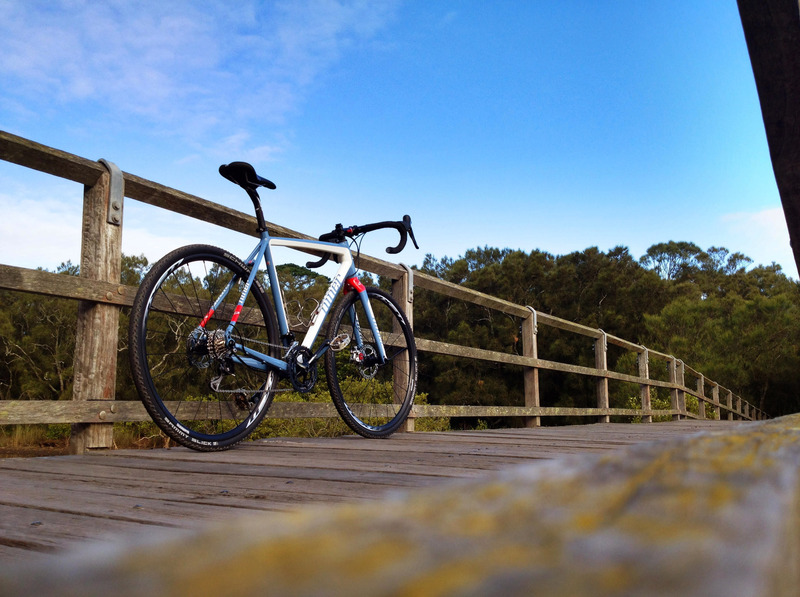 The RLT is a stable, comfortable machine on the road. With the tyres pumped up to 80PSI, it fairly hums along the tarmac. It’s not a race-bred whippet in its handling traits, by any means, and that’s what makes it so easy to ride. Hopping off into the gravel, and the Niner remains friendly and predictable, though it’s definitely worth softening your tyres if you’re staying in the dirt for a while. Sharp impacts with racks and roots will jar through your hands, but a relaxed grip on the bar lessens the tendency. I’d consider running a ticker, more cushy bar tape if it were my rig. The Niner’s component mix is excellent, especially for such a value-oriented machine. Its geometry and feel, too, are top notch; it’s easy to position yourself centrally over the bike, and stability at speed and in the bends is impressive. It’s a stiff frame, and bumps will be felt, but the long seatpost and wide tyres take the worst of the sting away. Its gearing is lower/easier than a typical road bike, and it climbs well as a result. If you want to ride really steep hills, it’s possible to fit a wider-ratio rear cassette; that rear derailleur will accept a 12-32-tooth item with ease. The only area where the RLT didn’t shine was under braking. The 140mm rear brake rotor is the smallest size available, and it struggled with this 95kg rider aboard. It’s possible – and not hard – to fit a larger 160mm rotor, and it can be done before the bike leaves the shop. The stock brake pads, too, aren’t great, but again it’s an easy fix. The RLT does an admirable job of eating both road and dirt miles. If you live in country areas with lots of long dirt roads, you’ll love its ability in the soft stuff. Equally, if you cover more black than brown, you’ll appreciate the Niner’s ride. Is it the one bike for all things? It won’t do extreme singletrack, but that’s about it. 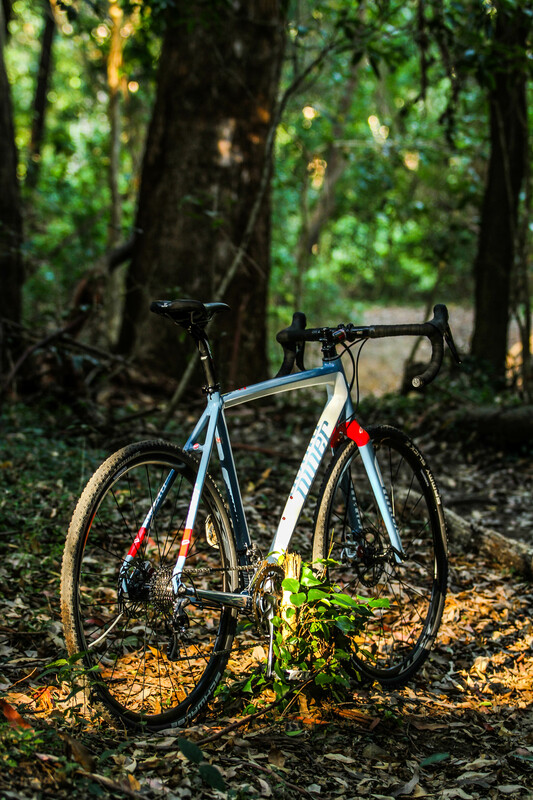 Jaunts with the roadie bunch, a solo pedal across a state, and everything in between, the Niner is a machine with multiple personalities – all of them good. Summary: It’s not quite the perfect around-the-world tourer, but it’s close. The RLT really is the Swiss Army knife of bikes.